Malaysia Airlines flight MH0002 was en-route from Bali to Heathrow when it was diverted to Manchester. The pilot during the flight announced that one passenger died during the journey – but it is not known if it was related to the adverse weather. Jack Crone was on the flight and said passengers were left shocked by the news. 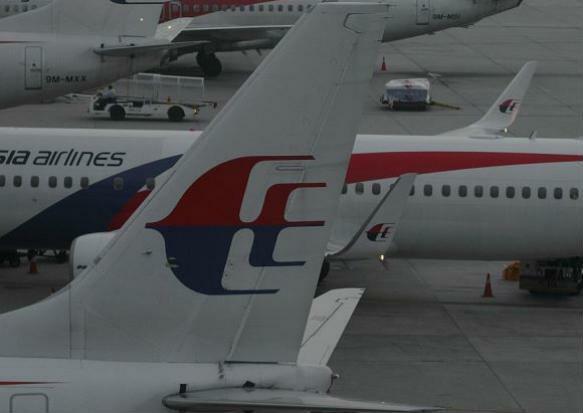 PETALING JAYA – Passengers on board Malaysian Airlines flight MH002 from KL International Airport (KLIA) to Heathrow in London were stuck in the plane for five hours while it sat on the tarmac in Manchester. They had to remain in the plane when it arrived at Manchester Airport because of medical emergency due to a death of a passenger. MH002 took off from KLIA at around 11.47pm on Sunday and was supposed to arrive at Heathrow at 1pm on Monday. However, it was diverted to Manchester Airport due to strong winds from Storm Katie. Following a three-hour delay due to the diversion, the passengers had to stay in the plane longer because of the medical emergency. One passenger, Josh Pearce, took to twitter to vent his frustrations at being stuck on board for hours without any explanation. “@MAS after 4 hours with no real updates its beginning to wear thin!!! “Unacceptable, irrespective of the death of a passenger,” he tweeted. Passengers also struggled with no food for the hours stuck on board. “@MAS Malaysian Airlines, this is a disgrace, nobody is communicating! Give us some answers, or at least some food!” tweeted Raphael Hurwitz. This entry was posted in Uncategorized and tagged MAS, MH0002 delayed by bad weather and dead passenger, passenger dies on MAS Mh0002. Bookmark the permalink.